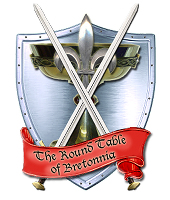 In September 2005, the Round Table of Bretonnia opened its doors to Bretonnian generals all over the world, continuing the tradition that Earl Cadfael started many years even before that. Now, ten years later, much has happened in the Warhammer world but yet we managed to withstand the test of time and to keep our original Bretonnian spirit. The future holds many uncertainties and exciting times are ahead for us in the Age of Sigmar! Thus, the motto of your tenth ("X") anniversary is "The Eternal Spirit of Bretonnia in a New Age". You are invited to celebrate with us under this motto in our customary anniversary competitions and events. Update: The competition deadlines have been extended until 21st of November by popular demand.